Reference: ‘About Procter & Gamble’, Procter and Gamble, January 2014. 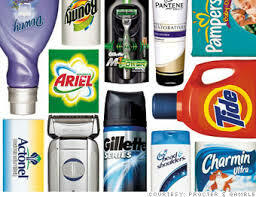 Procter & Gamble sells its consumer products (around 300 brands including 50 leading brands) to 4.8 billion people in 180 countries and operates in 70 countries employing some 126,000 people. Its annual sales of cosmetics, health care, food, beverage, cleaning and paper products (including brands Olay, Crest, Duracell, Gillette, Pantene, Vicks and Tide) are over $84 billion. At PG, sustainability means making every day better for people and the planet through how we innovate and how we act... As the world's largest consumer products company, we have both a responsibility and an opportunity to do the right thing and create change. Reference: ‘Awards/Honors/Recognistions’, Procter & Gamble, 1996; Susan Schaefer Vandervoot, ‘Big “Green Brother” is Watching: New directions in Environmental Public Affairs Challenge Business”’, Public Relations Journal, April 1991, p. 16; Anon., ‘Labour Party backs Green PG range’, Marketing Week, Vol. 17, 10 March 1995. Partly as a result of its green marketing efforts, Procter & Gamble has won a number of environmental awards including the Chemical Industries Responsible Care Award in 1995, the Thomas Edison Award for global leadership in environmental quality management in 1993, and the President’s Environment and Conservation Challenge Award in 1991 and 1992. In 1992 it received a Gold Medal for International Corporate Environment Achievement from the World Environment Centre and in 1991 Procter & Gamble was selected as most environmentally conscious company in the US in a 1991 Advertising Age/Gallop Poll Survey. In 1995 Marketing Week reported that the UK Labour Party had praised the environmental marketing efforts of companies like Procter & Gamble. Reference: ‘External Recognition’, Procter and Gamble, 2013; 'Procter & Gamble Wins Environmental Stewardship Award for Detergents from U.S. EPA', CSR Wire, 15 December 2008. 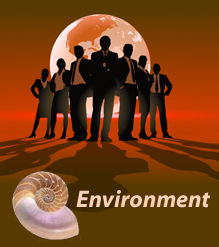 Between 2000 and 2010, PG was in the top rankings of Dow Jones' Global 100 Most Sustainable Corporations in the World. In 2008 it was named champion in the US Evironmental Protection Agency's (EPA) Safer Detergents Stewardship Initiative (SDSI). Reference: E. J. Muller, ‘The quest for a quality environment’, Chilton’s Distribution, Vol. 91, No. 1, 1992. Reference: David Kiley, ‘EPA charged with gutting report; PG and Scott lend a helping hand for a government manual’, Adweek’s Marketing Week, Vol. 32, No. July 8, 1991. Yet when the US EPA produced an Environmental Consumer’s Handbook, Procter & Gamble and Scott Paper complained about the handbook’s recommendations to decrease use of disposable paper cups and replace household cleaners with baking soda and vinegar solutions. The handbook was subsequently revised. Source: 'Seen P&G's Thank You Mom? Find out the hidden truth', Greenpeace, 4 March 2014. Reference: S. L. Smith, ‘The greening of American business’, Occupational Hazards, Vol. 53, No. 9, 1991. PG's green initiatives include using recycled plastics and paperboard in packaging of products, producing refill packages, producing concentrated versions of products such as laundry detergents (less volume to transport), making disposable diapers less bulky and selling deodorants without cartons. Reference: Andrew Rowell, Green Backlash: Global Subversion of the Environment Movement, (London and New York: Routledge, 1996), p. 122. Until it was reformulated in 1994, Procter & Gamble’s Tide with Bleach was the only remaining laundry powder on the US market still containing phosphates. Other companies had substituted zeolites in earlier years because of environmental concerns while Procter and Gamble, with the help of PR firm Hill and Knowlton, made the case against the need for such substitution. Reference: Marjorie Coeyman, ‘PG reformulates away from STPP’, Chemical Week, Vol. 154, No. 2, 1994; PG quoted in Marjorie Coeyman, ‘PG reformulates away from STPP’, Chemical Week, Vol. 154, No. 2, 1994. Reference: Melanie Warner, ‘P&G'S Sustainability Initiatives -- Not So Sustainable’, Fast Company, 1 July 2008.
none of PG's sustainability initiatives address what's arguably its most fundamental environmental challenge: "green chemistry," or finding ways to make products without chemicals that are hazardous to human health and the environment... "it's using cosmetic ingredients like phthalates, where the evidence is growing that these chemicals could have a negative impact on our children and grandchildren"...Products such as Herbal Essences shampoo and Olay Complete Body Wash contain comparatively high levels of 1,4-dioxane, a chemical that has been characterized as a probable human carcinogen by the EPA and banned from personal-care products in the European Union. Reference: Dan Koeppel, ‘PG’s ‘environmental lobby’ hits the halls of Congress’, Adweek’s Marketing Week, Vol. 30, 27 November 1989. The modesty of PG’s environmental efforts have been made up for by the enthusiastic marketing that goes with them. Before it launched or even tested its Downy Refill package—a demonstration it was doing something about the landfill crisis—it sent its lobbyists and PR people to Washington to explain the innovation to members of Congress and their staff. It held a press conference packed with experts and company executives, to explain how the packaging of the fabric softener in a plastic-coated milk carton would be better for the environment. Reference: ‘P&G Expands 'Future Friendly' Marketing Effort’, Environmental Leader, 15 March 2010. PG launched a range of Future Friendly-labelled brands at the 2009 Clinton Global Initiative. For example Tide Coldwater laundry detergent would be labelled Future Friendly because it encourages consumers to wash in cold water, thus saving energy: "In addition to television advertising and an extensive social networking and consumer engagement component, more than 15,000 retail locations will participate in the initial phase of Future Friendly." Reference: Alison Benjamin, ‘Future friendly?’, The Guardian, 7 September 2007. Ethical Consumer, the research association that rates products according to their record on human rights, environmental sustainability and animal welfare is less generous about Future Friendly. Ariel, Flash and Fairy each score just 0.5 out of a possible 20 in its rating system. Reference: ‘The Top 25 Greenwashed Products in America’, Business Pundit, 2 March 2010. The Tide brand takes a different approach to greenwashing. Tide High Efficiency (HE) detergent is a highly concentrated cleanser that lives in a smaller bottle than the rest of PG's detergents. The bottle contains less plastic, and the liquid contains less water, making HE a relatively eco-sound choice. You'd think PG would do the same with all of its other detergents, but it doesn't. In fact, PG's Ariel washing power and liquid detergent is one PG product that is banned in the USA due its historically high phosphorus (brightener) content. This detergent also contains benzene-based brighteners, which are classified as "toxic to not harmful" (i.e. they can be toxic) to fish, algae and crustaceans. Reference: Valerie Latham, ‘Green group tears into PG’s paper nappy claims’, Marketing, 25 July 1991. Some of Procter & Gamble’s green marketing claims have been disputed however. 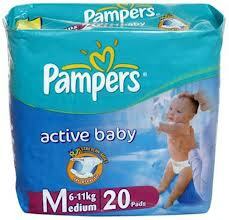 For example its claim that Pampers disposable diapers (marketed with the logo of WWF on the package) have no worse environmental impact than cloth diapers was challenged by the Women’s Environmental Network in Britain which argued that such claims are “limited in scientific credibility, dishonest, manipulative and biased.” It cited a report that found disposable nappies use five times more energy, require 20 times more raw material inputs and create 70 times more solid waste than cloth nappies. The Advertising Standards Authority (ASA) upheld the complaint finding that the claims were indeed “misleading”. Reference: Paul Hawken, ‘The Ecology of Commerce’, Inc, Vol. 14, No. 4, 1992. ...this is the same Procter and Gamble that has fought proposals in Wisconsin, Connecticut, and Kentucky to tax disposable diapers to pay for environmental cleanup. In Kentucky it was a penny a diaper...Which Procter and Gamble do you want me to believe? When we see this manipulation of our needs as customers, we know we’re being flimflammed. We’re not just being taken for a ride. Our intelligence is being taken for granted. Reference: Robert Shimp, head of environmental safety, PG, quoted in Sally Bell, ‘Use of ‘green’ labels is labeled harmful’, Supermarket News, Vol. 44, No. 18, 1994. Reference: Steven W. Colford, ‘Fade-out for green?’, Advertising Age, 5 December 1994, pp. 1, 8. It fought Californian legislation to mandate stringent definitions of terms such as ‘recycled’ and ‘biodegradable’ in green marketing. The legislation was upheld by a federal appeals court in 1994. Advertising Age greeted the decision with the prediction that this could spell the end for green marketing. However, advertisers, including Procter & Gamble, vowed to fight the decision all the way to the Supreme Court if they had to. Reference: Alecia Swasy, Soap Opera: The Inside Story of Procter & Gamble: Random House, 1993), chapter 7. Reference: Alecia Swasy, Soap Opera: The Inside Story of Procter & Gamble: Random House, 1993), p. 215. Residents living near the river were told not drink their water. Even as PG disputed scientific evidence, the company was recommending its own managers drink bottled water. And the company eventually began giving away free bottled water to residents... They still shower in the water, but it leaves a film on the skin. Reference: Alecia Swasy, Soap Opera: The Inside Story of Procter & Gamble: Random House, 1993), pp. 207-209, 211-212, 217. Swasy describes the way the Fernholloway was transformed from “a fishing paradise” to the most polluted river in the country’s Southeast: “black as motor oil ... laced with dangerous chemicals from the pulp mill” where “female fish have developed male characteristics because pollution causes hormonal changes in fish.” According to Swasy the company has been able to get away with this gross pollution because of its lobbying power in Florida. Reference: Ben Leamy, ‘Boycott Procter & Gamble’, Uncaged, 1995; ‘Boycott Procter & Gamble’, Uncaged, 2012. Procter & Gamble was also the subject of a consumer boycott by animal rights groups who claim that the company was responsible for 50,000 animal deaths per year in the US alone. Procter & Gamble, which used animals to test its products, said they were “committed to eliminating the use of animals for safety testing as soon as good science permits” but its critics argued that testing products on animals does not tell how humans will react to those substances and that “such testing protects the company but not the consumer.” They also pointed out that other companies produced similar products without the need to test them on animals. Reference: Alecia Swasy, Soap Opera: The Inside Story of Procter & Gamble, Random House, 1993, pp. 131, 150. In 1986 lawyer Tom Riley, wrote a book The Price of a Life about his battle to win a lawsuit against Procter & Gamble for the death of a woman from toxic shock syndrome. The woman had died after using Rely tampons, manufactured and marketed by Procter & Gamble. According to Swasy, many previous cases had been settled out of court, sometimes for as much as $1 million, with confidentiality clauses as Procter & Gamble attempted to prevent publicity of its role in the toxic shock syndrome deaths. Reference: Alecia Swasy, Soap Opera: The Inside Story of Procter & Gamble, Random House, 1993, pp. 136-8. Reference: Alecia Swasy, Soap Opera: The Inside Story of Procter & Gamble, Random House, 1993, pp. 138-9, 145. One company memo considered whether to issue warnings about toxic shock syndrome but decided against it. In the same memo it reported the decision to continue promoting the product, otherwise market share would drop making it “finaincially unattractive for Rely to stay in business.” It lobbyied Congress to avoid a ban on Rely but was given an ultimatum by the Food and Drug Agency (FDA) and agreed to recall the product. Swasy reports that employees were told to shred documents relating to Rely. Reference: Alecia Swasy, Soap Opera: The Inside Story of Procter & Gamble, Random House, 1993, pp. 138-42, 150. At least forty-two women had died from toxic shock in 1980, several positively linked to Rely tampons. The CDC say that incidences of toxic shock decreased dramatically after this. However, the family of those women who tried to sue Procter & Gamble found that most of the experts in toxic shock syndrome were now receiving substantial funds from Procter & Gamble. According to one of the lawyers fighting Procter & Gamble, “the strategy was to corner the scientific market”. Reference: Alecia Swasy, Soap Opera: The Inside Story of Procter & Gamble, Random House, 1993, pp. 132, 149-50. The company later claimed this expenditure, from its insurers as a defense cost rather than research spending. Many cases were settled out of court, sometimes for as much as $1 million, with confidentiality clauses as Procter & Gamble attempted to prevent publicity of its role in the deaths. Reference: Alecia Swasy, Soap Opera: The Inside Story of Procter & Gamble, Random House, 1993, p. 144. When it finally went to court in 1982, Procter & Gamble staged a number of mock trials with ordinary people in the juries to find out what would work and what wouldn’t in their testimony. “Just as it uses focus groups to determine the best way to market toothpast and detergent, PG researched how to sell itself in a courtroom. On the third try, its attorneys got the verdict they wanted from the mock jury.” Procter & Gamble also hired a psychologist to help screen jurors and advise on how they were reacting during the court case. Nevertheless the company lost the case.